Discussions Magazine Music Blog: VIOLENT SOHO: Album available March 9th, 2010! 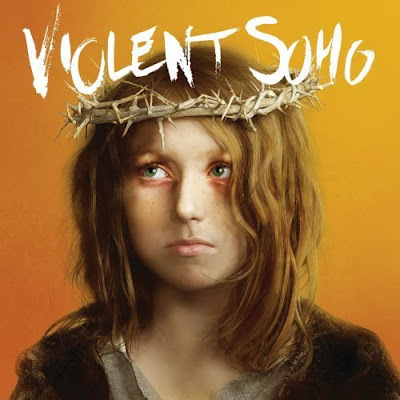 VIOLENT SOHO: Album available March 9th, 2010! 2010 release from the Australian Punk band. Violent Soho began playing music together in their teens, where they embraced an '80s and '90s Punk/Grunge impact to their music without disregarding the ethic that ideally follows from such influence. From its beginnings, playing shows at outer-suburban pubs and rehearsing and recording demos in their parents' garages. Violent Soho has toured extensively across the globe as well as played shows with such bands as Dinosaur Jr, Built to Spill, Trail of Dead, The Black Keys, The Bronx, Black Francis, Dead Weather, The Grates, Grinspoon, Cosmic Psychos, Celibate Rifles, Hard-Ons, and others. Visit VIOLENT SOHO'S MySpace page HERE!